The NX SimpleTouch™ graphic wall station is an attractive and capable user interface for a NX controlled space. The 3.5" high resolution touch screen is highly visible from any angle and is simple to use. NX SimpleTouch provides users with a flexible and intuitive lighting control solution for switching, dimming, SpectraSync™ color temperature (CCT) control and preset activation. The NX SimpleTouch display is designed to be mounted to a standard single-gang rectangular wall box using the provided trim. 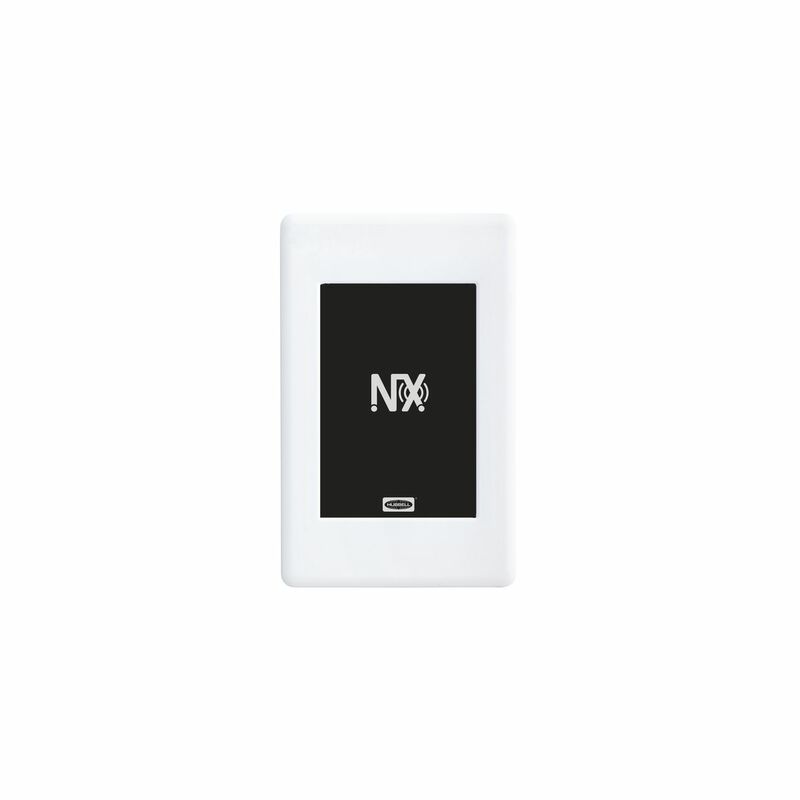 Alternately it can be mounted into an enclosure or panel, enabling a wide range of customer applications.NX SimpleTouch is a low-voltage device and can be powered directly by any available SmartPort™ NXRC (room controller) or NXFM (fixturecontroller) by using a standard Ethernet cable. NX SimpleTouch is the ideal solution for conference rooms, classrooms, multipurpose areas orany area that can benefit from a compact and versatile wall-mounted lighting control interface.